New England’s Premier Hand Drumming School serving the rhythmic community for over 29 years. DrumConnection offers excellence in djembe and dunun instruction from private classes to exciting workshops and performances. Drums are likely the oldest form of musical instrument known to mankind. So old in fact, that researchers from the National Academy of Science suggested that drumming is part-and-parcel to our species- other primates also drum on objects to communicate. 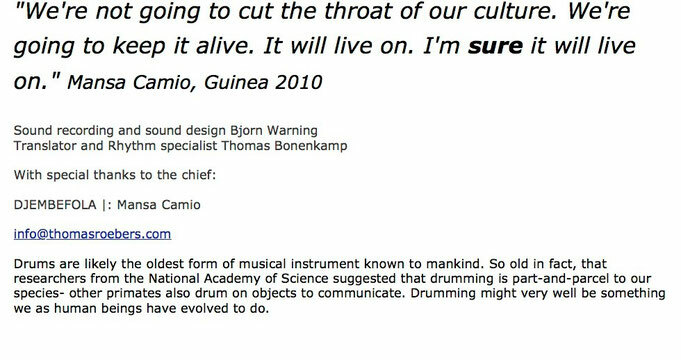 Drumming might very well be something we as human beings have evolved to do. The art of drumming has also in various forms, become an integral component of cultures the world over, from East Asian war drumming , to the talking drums of Sri Lanka and West Africa. These instruments are not only universal in nature, but they are tied to our very humanity at the deepest level. DrumConnection (Boston, MA) links students with a very specific part of our human heritage- the djembe drum music of Guinea. Guinea is just a small nation on the west coast of Africa yet it looms large on the world stage. DrumConnection offers a unique experience into the rhythms of the continent. Our close ties to Guinea, West Africa and in association with Famoudou Konate, Mamady Keita and Mamady ‘Wadaba’ Kourouma, Sayon Camara, Nansady Keita, Babara Bangoura, Bolokada Conde, we bring you a rich heritage from the Homeland, the birthplace of the drums. Join us! 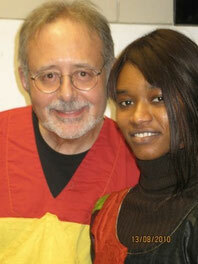 Travel to Africa (Guinea and The Gambia) planning and implementation, in-school drumming program ages 7 up, public and private school administration of percussion programs, healing with drumming (34 years experience) treatments with elder population, special needs children, kids at risk, depression, anxiety and more profound emotional and psychiatric conditions. Please ask for your specific needs. We can outfit your school or church with drums at wholesale prices for non-profits. 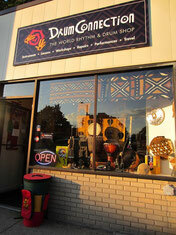 DrumConnection Retail Store and Workshop space is closed! DrumConnection is both trademarked and copyrighted 1990. Any use of this name by others is prohibited by international law. If there was one video to watch to gain a better understanding about Africa and drumming, this would be it. We are grateful to be able to share this with you. Take your time with it and it should answer your questions you may have as you learn the drum. Thanks to Mansa Camio, a teacher of mine for a few days, and big thanks to Bjorn Warning and Thomas Bonenkamp for allowing us to feature this very important film. I thank them to no end for this. My love to you is very deep. Video Credit: Stu Mendelson, former instructor at DrumConnection.